How would you like to have an extra $155,000 to spend during your retirement years? You could have at least a portion of that if you worked on minimizing your 401(k) fees, says Yoav Zurel, CEO of cost assessment website FeeX.com. A 2012 study by public policy organization Demos found a median-income, two-earner household will lose nearly a third of their investment return to fees over their lifetimes. "One-hundred and fifty-five thousand dollars are basically evaporating from your retirement savings," Zurel says. While the government has taken steps to improve fee disclosure for 401(k) plans, many finance professionals say the current rules don't go far enough. Plus, IRAs don't come with all the same financial protections afforded to 401(k)s.
The murky waters surrounding retirement fund fees may leave workers feeling confused, but experts say too much money is at stake to let yourself be nickel-and-dimed by excessive charges. Fees for 401(k) plans come in many forms, with some based on transactions, such as loans and distributions, while others are related to account and fund management. Of these, industry experts say investment management expenses can do the most damage to a retirement portfolio. Chad Parks, CEO of Ubiquity Retirement + Savings, runs a company specializing in low-cost 401(k) plans for self-employed workers and small businesses. He says Ubiquity Retirement + Savings is able to keep expenses to a minimum because it focuses on index funds. These, as well as target-date funds, typically have lower expense fees than actively managed mutual funds, which can charge above 1 percent of the invested balance. A 1 percent fee may not seem like a lot, but Parks says workers shouldn't be fooled. "A 1 percent difference in fees -- that's literally hundreds of thousands out of [your] retirement account over the course of a lifetime," he says. Workers with IRAs have other charges to worry about. In addition to management expense fees, brokers may get a commission off some IRA sales. Beyond that, advisers tack on fees for management services. "People have no clue their adviser is charging them anything," Zurel says. And yet adviser fees can double the amount some investors pay. In 2012, the Department of Labor issued rules intended to provide greater transparency of 401(k) fees. Unfortunately, the consensus seems to be the rules are doing little to increase consumer awareness. Zurel says that's because while the rules mandate fees be disclosed, it is left up to the companies to determine how best to do that. "[The government] didn't give any instructions on how to write it, how long [the disclosure] should be, etc.," he says. As a result, he's seen some disclosure forms that are pages long with key details buried in the text. "A lot of providers are making it difficult to find the fees [in plan documents]," Parks says. However, he adds that about 20 states are considering legislative or regulatory action to either limit fees or increase fee transparency within their borders. 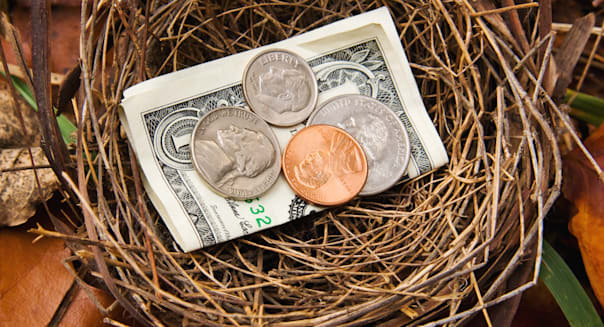 What's more, there is some talk at the federal level of extending the fee protections currently offered to 401(k) plans to IRAs as well. Parks explains that, traditionally, IRAs have been considered the domain of the IRS and are not subject to the same laws as other pension and retirement accounts. As a result, IRAs don't carry the same fiduciary duty -- that is, the requirement to limit fees and act in an investor's best interests -- as 401(k)s.
Earlier this year, the Department of Labor issued a proposed rule that would require all financial advisers to work in their clients' best interests. Under the current system, there is nothing to prevent a broker from directing people to investments that carry higher commissions or other rewards for the adviser. While the government wrangles over how to best address the issue of fee transparency, it remains the responsibility of workers and investors to dig into their plan records and compare fee costs. As they do so, some people may undoubtedly wonder: At what point do fees go from being reasonable to excessive? That's a gray area, but Parks suggests anything over 1 percent for expense fees could be too much. "There's definitely an argument to be made that even 1 percent is high," he says. "I'd say under half a percent should be the goal in [the next] three to four years." Keith Klein, a certified financial planner and owner of Turning Pointe Wealth Management in Phoenix, argues investment decisions shouldn't boil down to a specific fee percentage. For investments tied to index funds, such as the S&P 500, it may be best to go with the least expensive option, but for other investments, fund growth may be just as important. "Does the fee really matter if you get a better return?" Klein asks. For those who decide the fee really does matter, there are a number of online tools available to help compare costs and see how funds stack up. Morningstar (MORN), for instance, offers a fund comparison tool that includes information on fees, and Zurel's free website FeeX analyzes the fees associated with specific IRA and 401(k) portfolios. "They are shocked time and time again," he says of the feedback he receives from the site's users. "They only thought they were paying load or transaction fees [rather than a management expense fee]." Once FeeX analyzes a user's portfolio, it then recommends a lower-cost plan. Klein agrees keeping fees low is a good thing for consumers, but he also says people shouldn't lose sight of the big picture. "Simple things like comparing expense ratios will help [increase retirement savings], but reducing fees on investments can only help so much," he says. "The biggest problem we have is Americans don't save enough." In other words, it's great to save 1 percent on investment fees, but you need to have money in your account for it to make a difference. After all, saving 1 percent of nothing doesn't amount to much of anything.